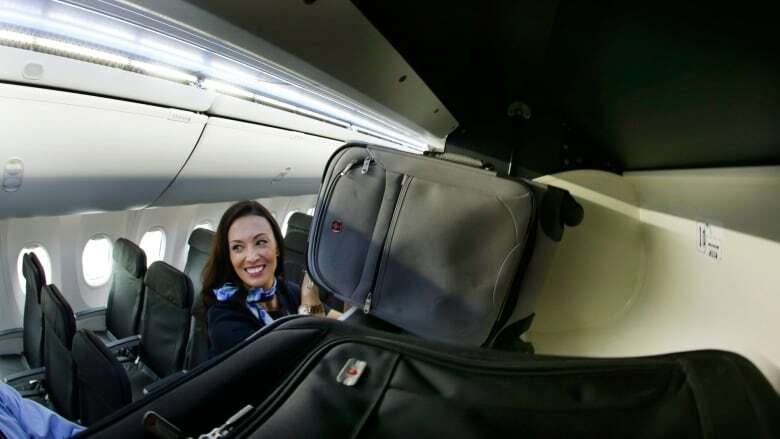 Gone are the good old days when an airline ticket included added perks like a checked bag. Now those perks will cost you. 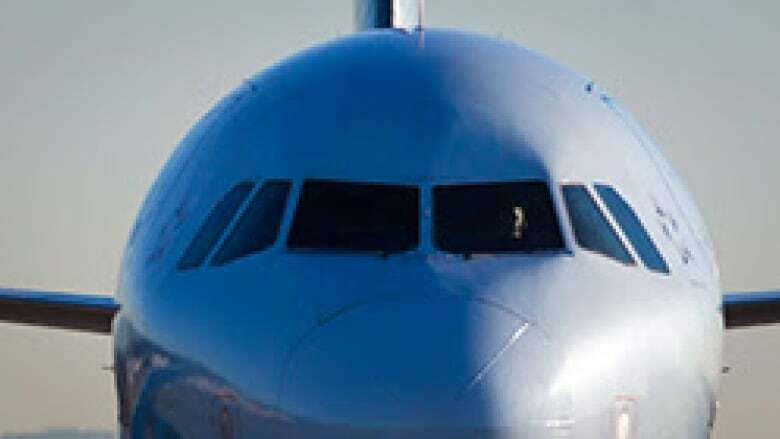 So CBC News did the research to help you avoid added airlines fees this summer. Gone are the good old days when an airline ticket included perks like a reserved seat, a checked bag and dinner. Now many of the extras have been sliced up into separate categories with an added price tag. So how can you avoid some of those pesky airline charges that keep adding up and up? CBC News did the research to help you stick to your no-frills ticket this summer. If you fly economy, a $25 checked bag fee is getting more difficult to avoid. Air Canada and Air Transat only waive the charge for international flights. WestJet charges the fee for all economy fares, including international. If you're just not able to stuff everything into a carry-on bag, there are a few other ways to avoid the fee. If Air Canada tends to be your airline of choice and you collect Aeroplan miles, you may want to consider a TD Aeroplan or CIBC Aerogold Visa Infinite credit card. Both offer a free checked bag when you book an Air Canada flight using your rewards. The annual fee for both cards is $120. Sure that's more than a checked bag charge but the card also allows you to rack up Aeroplan miles plus other travel perks such as priority boarding. ​TD and CIBC also offer a higher-tier Infinite Privilege Visa card that allows members to check their first bag for free on all Air Canada flights, paid for with or without rewards. But beware — the card's annual fee is $399. If you're a frequent WestJet flyer, your best bet may be to join the airline's rewards program. Members who spend $4,000 or more on flights within 12 months move up to silver status. That means they can check their first bag for free on WestJet flights. If you can't hit the $4,000 cut-off, another option is to sign up for a WestJet RBC World Elite MasterCard. Members and up to eight of their travel partners get a complimentary checked bag on WestJet flights. The credit card's annual fee is $99 but you also earn WestJet rewards and other travel perks. If you manage to cram all your clothes into a carry-on bag, make sure it doesn't exceed the size limits, which vary according to the airline. Some carriers including Air Canada are now carefully monitoring on-board luggage. Economy passengers caught with offending carry-ons are often forced to check their bag and pay the $25 fee. It also pays to check in advance if you get fed on a flight. None of the major Canadian carriers now serve complimentary meals on North American flights for economy fares. Sunwing was the last to stop serving up free food, switching to a price-based menu at the start of this year. Most airlines still serve a complimentary meal on international flights but WestJet is now charging for all food on its flights to London, England. If you choose to pack your own meal, keep in mind that you can't take liquids through security. Calgary aviation consultant Rick Erickson advises bringing an empty water bottle and filling it up at a fountain at the airport. They're usually found near public washrooms. Inflight entertainment can also cost you these days. Most airlines, including WestJet and Air Canada, now charge for headphones so pack a pair in your carry-on. Air Canada's international passengers get free earbuds but not if they're flying its discount option, Air Canada Rouge. To avoid extra entertainment costs, Rouge passengers need to bring their own headphones and mobile screening device plus download in advance the Air Canada app. The app will allow passengers access to the airline's entertainment system, which includes movies. If you come unprepared, you'll have to shell out $10 to rent an on-board iPad. WestJet also requires you to bring your own device and download its entertainment app on some flights. So it's best to come prepared to avoid paying up to $8 for a tablet rental. Some WestJet flights come with seatback televisions. But if you're flying domestic, you have to pay for movies — up to $6.89 per flick. If you're a movie buff, you may want to consider bringing your own entertainment. Another fee passengers wind up paying for is seat selection. If you desire a roomier seat or you want to guarantee a seat next to your travel partner, this charge is difficult to avoid. But analyst Erickson offers this tip: book your trip during non-peak times such as low travel season. Tuesdays and Wednesdays are also known as lower traffic days. Not only might your flight be cheaper, but also, says Erickson, "with any luck, you might have an empty seat beside you."